Our verge garden group met at Tash’s last Saturday. 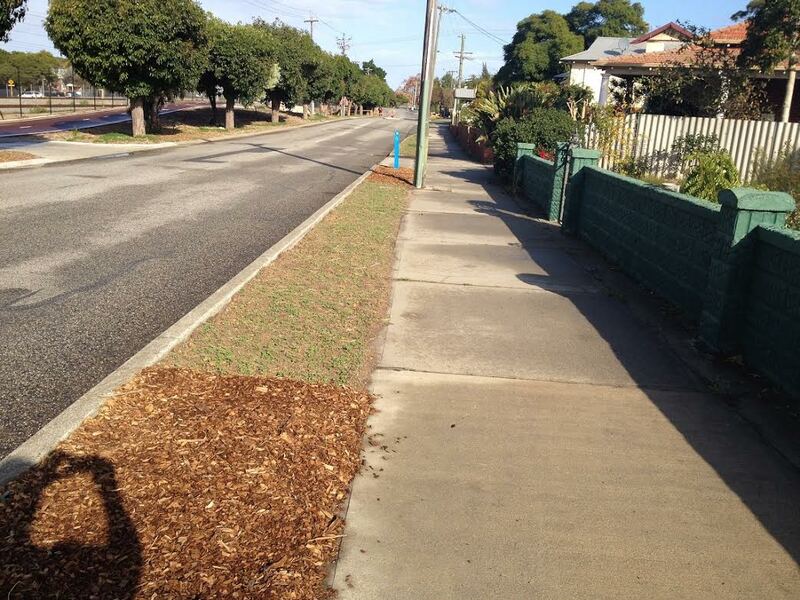 She had already begun digging up her couch grass and replacing it with fruit trees, veges and herbs. So we extended the area significantly with a solid digging session! It doubled her available gardening area, so now Tash can get planting. Who are the verge gardeners? 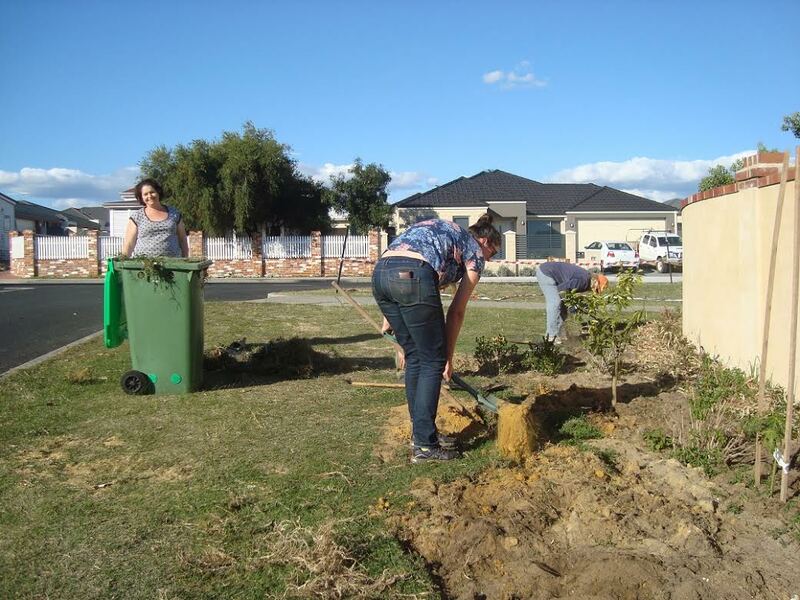 Basically we are a group of people who like gardening and we help one another with labour and advice to makeover our verges, transforming them into corridors of food or wildlife habitat. And it beautifies the street and saves water. Below is also a photo of Cristina’s verge that we worked on a month ago; the greenery is the emerging everlasting seedlings. We meet about every 3 weeks on a Saturday afternoon. If you would like to join in contact Pam at pamela.riordan@gmail.com. 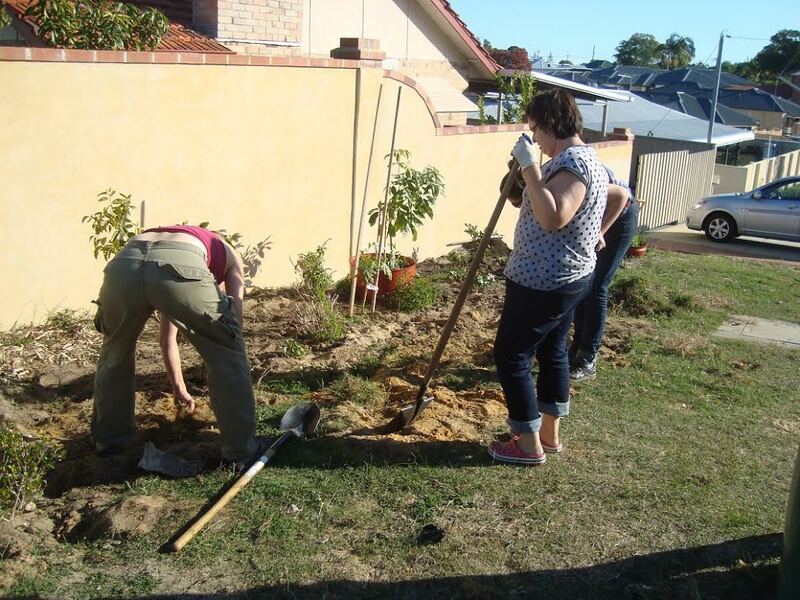 This entry was posted in Environment, Food, Gardening, Kitchen Gardeners, Verge Gardening and tagged DIY gardening, Gardening, Growing food, Kitchen Gardeners, sustainable food production, Veggies. Bookmark the permalink.